[Spoilers] D23 Trailer info, FF Cameos and more LEAKS! Really because he clearly didn't lie about TWEWY on Switch or the Frozen E3 reveal those are two things that interest me and the part about FFXV Part 1 that is pretty interesting. Lucky guess I supose. To much difference to be real. Yeah, those two are easy guesses imo. A frozen world was practically a given. 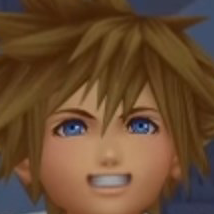 Also, he listed so many final fantasy characters that it makes it possible for him to be right about one, but not all of them, because Nomura putting that many in the game where he has admitted to cutting them the most?